An aide to Bill Clinton confirmed to CBS News that the meeting wasn't planned in advance: President Clinton saw the attorney general on the tarmac and wanted to say hello, so he boarded her plane to talk. "Actually, while I was landing at the airport, I did see President Clinton at the Phoenix airport as I was leaving, and he spoke to myself and my husband on the plane," she said. "Our conversation was a great deal about his grandchildren. It was primarily social and about our travels. He mentioned the golf he played in Phoenix, and he mentioned travels he'd had in West Virginia." "There was no discussion of any matter pending for the department or any matter pending for any other body," Lynch added. "There was no discussion of Benghazi, no discussion of the State Department emails, by way of example." Asked further whether there was any "impropriety" to meeting with Clinton while the email investigation is ongoing, Lynch replied merely that the case is being handled by "career investigators and career agents." "My agency is involved in a matter looking at State Department policies and issues," she said. "It's being handled by career investigators and career agents. It will always follow the facts and the law and do the same independent and thorough investigation that they've done in all." Regardless of Lynch's downplaying of the conversation, CBS News Justice reporter Paul Reid called it "shocking, absolutely shocking." "The most high-profile national security investigation under the attorney general is the investigation into whether or not classified information was mishandled in connection with Hillary Clinton's server," Reid told CBSN. "Now, President Clinton and his foundation are also tangentially involved in that investigation, so the appearance of impropriety is just stunning." Reid also noted that the explanation that it wasn't a scheduled meeting is unlikely to quiet critics. 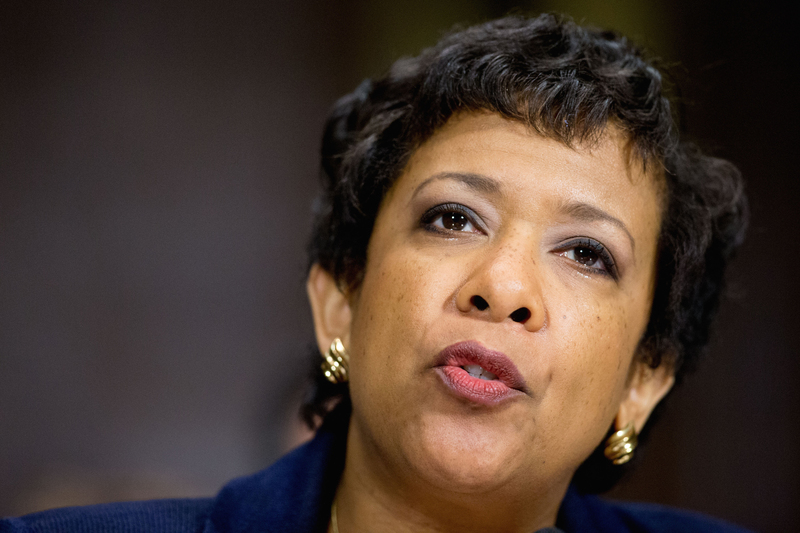 "Loretta Lynch is no shrinking violet. This is a tough lady," Reid said. "She's stood up to El Chapo, she has taken on FIFA -- she is not incapable to telling someone, 'Look, you can't come on my plane' or 'Look, I don't want to talk to you.' The optics of this for the investigation going forward are horrible." "It will definitely be fuel for those who do not believe this is an objective investigation," Reid added. CBS News' Hannah Fraser-Chanpong and Paula Reid contributed to this story.